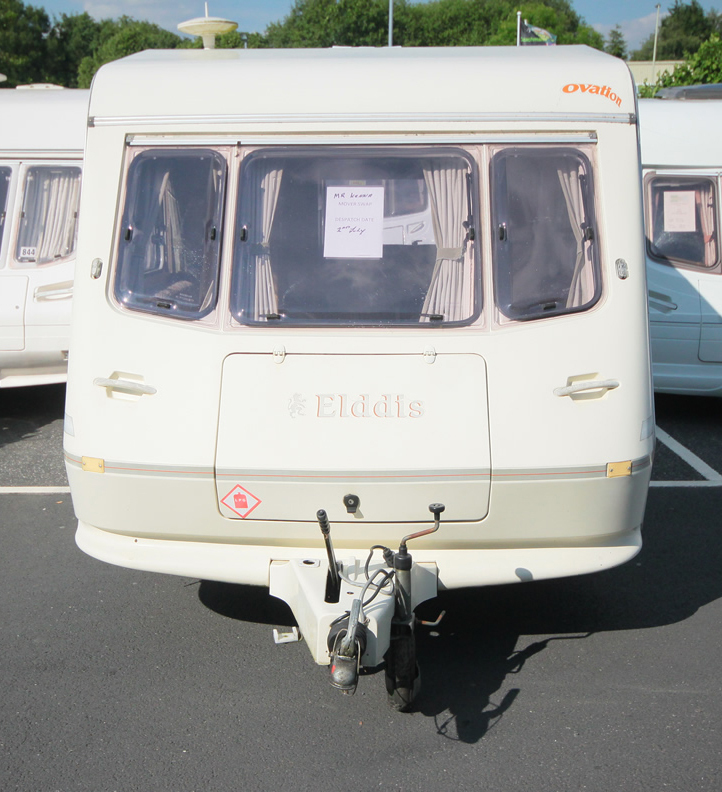 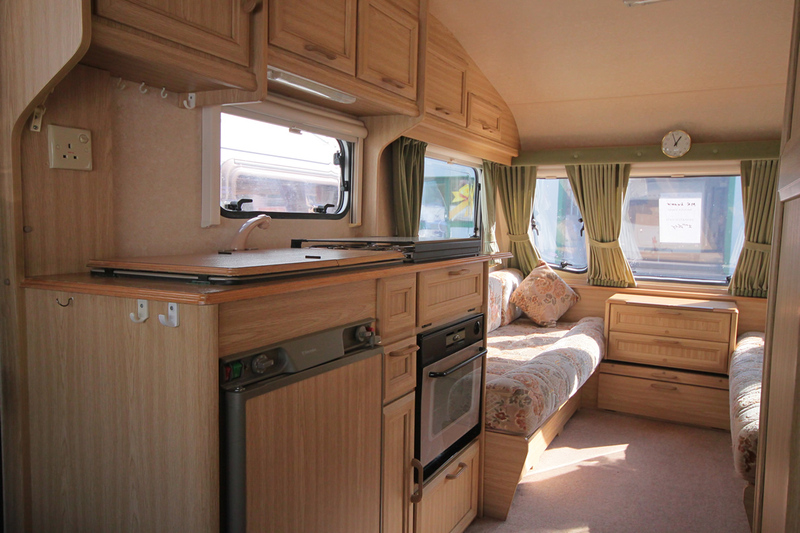 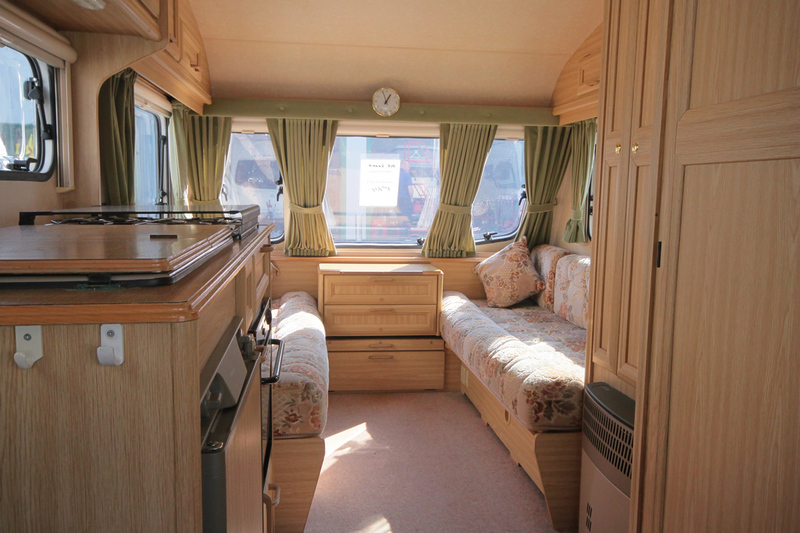 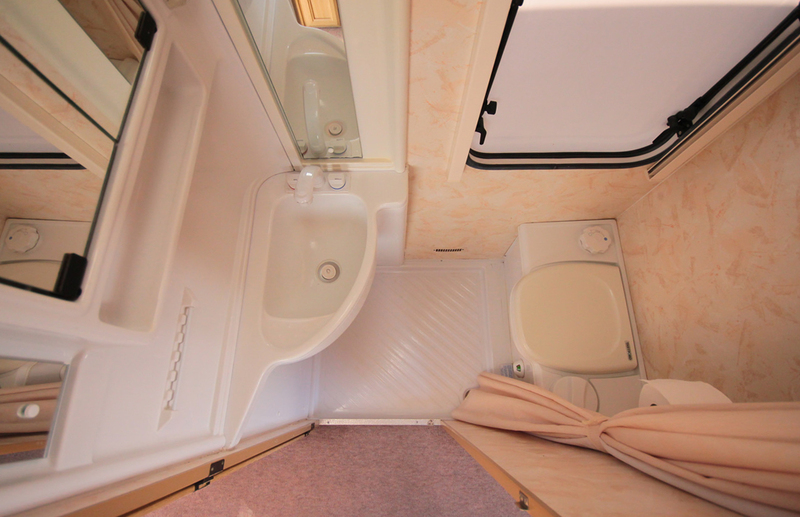 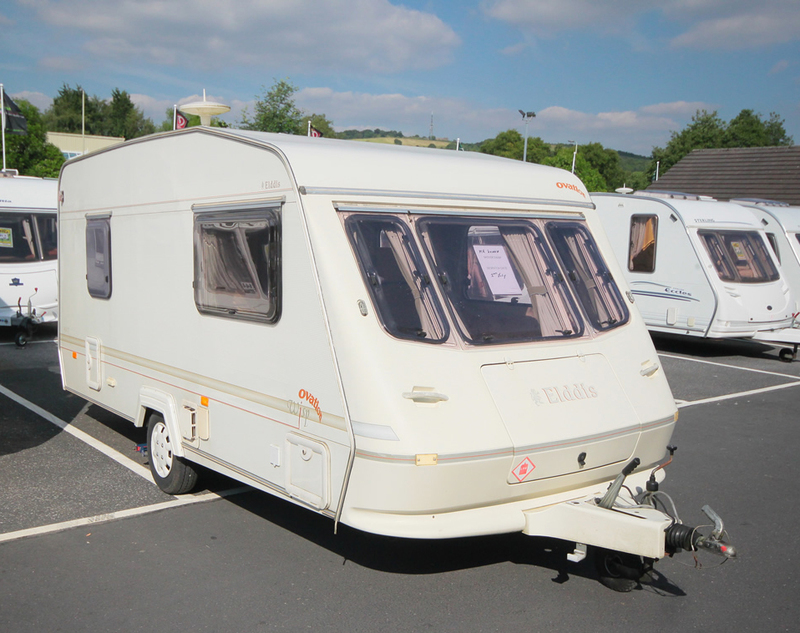 One of our smaller 4 berth caravans. 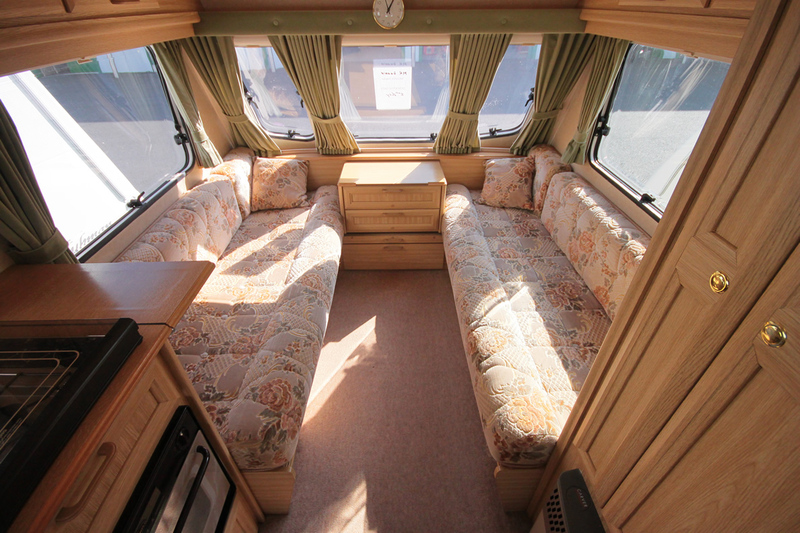 Front seating area converts to queen size bed. 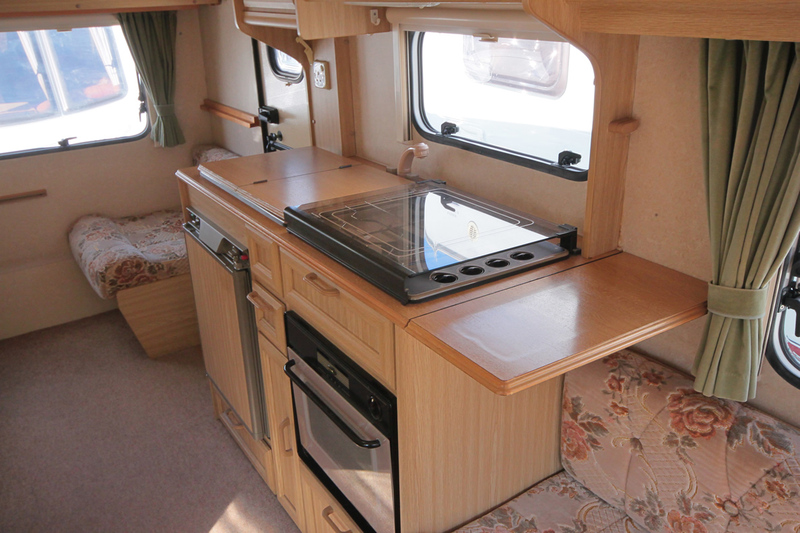 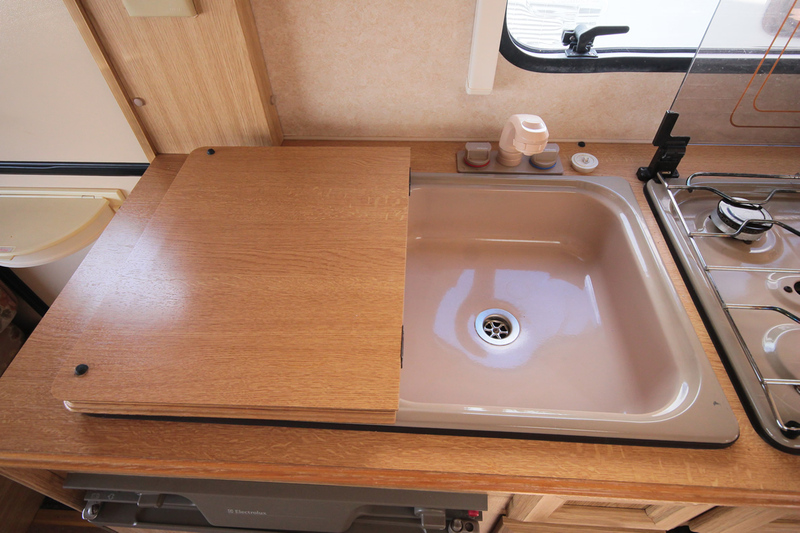 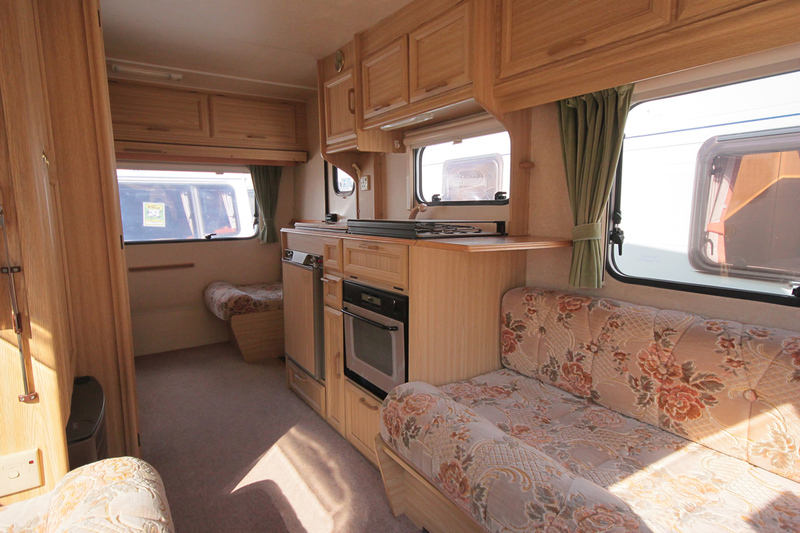 Centre galley with 3 way (gas/12/230v) fridge, 3 burner hob with oven and grill, Sink. 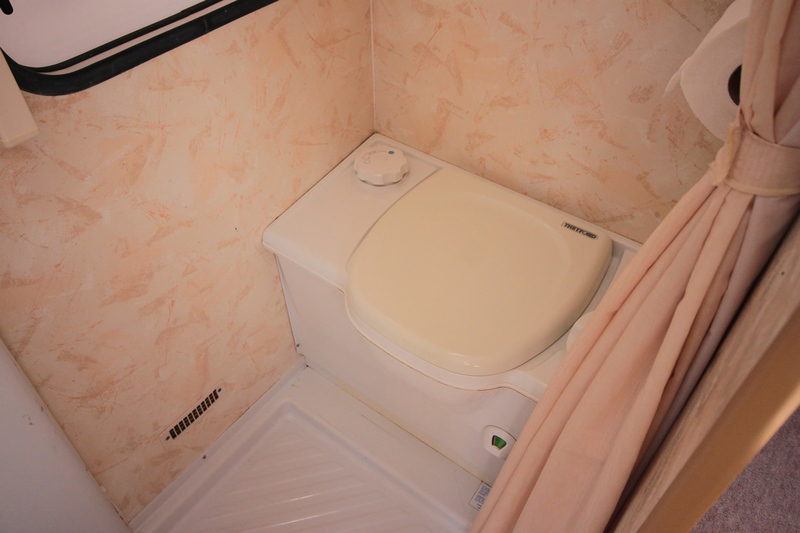 Opposite is the bathroom with shower, sink and cassette toilet. 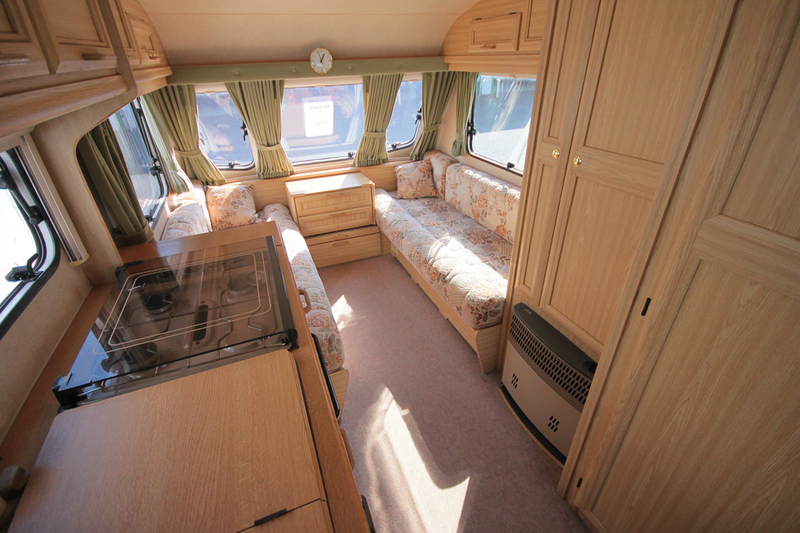 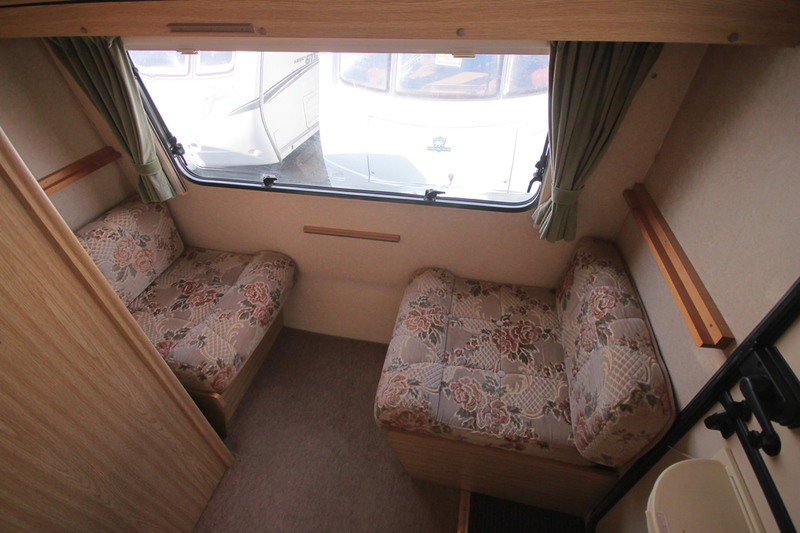 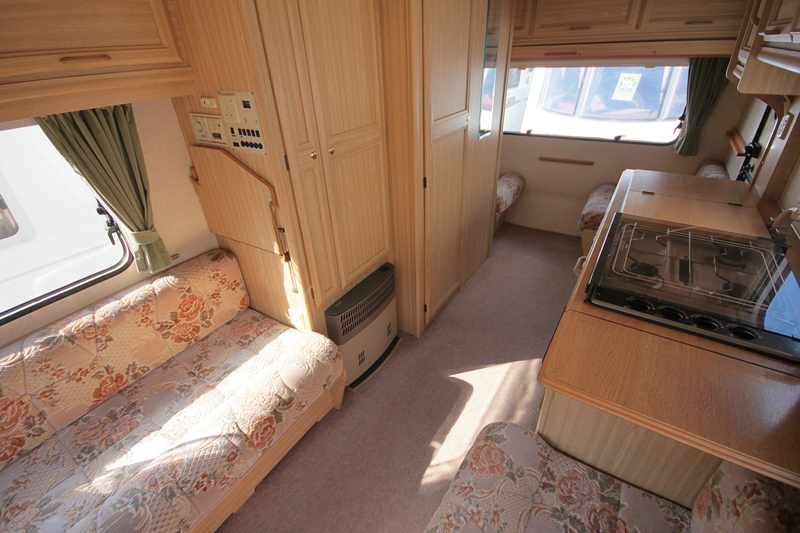 Rear seating area converts to a single bed with a pull out single bunk over the top if required. 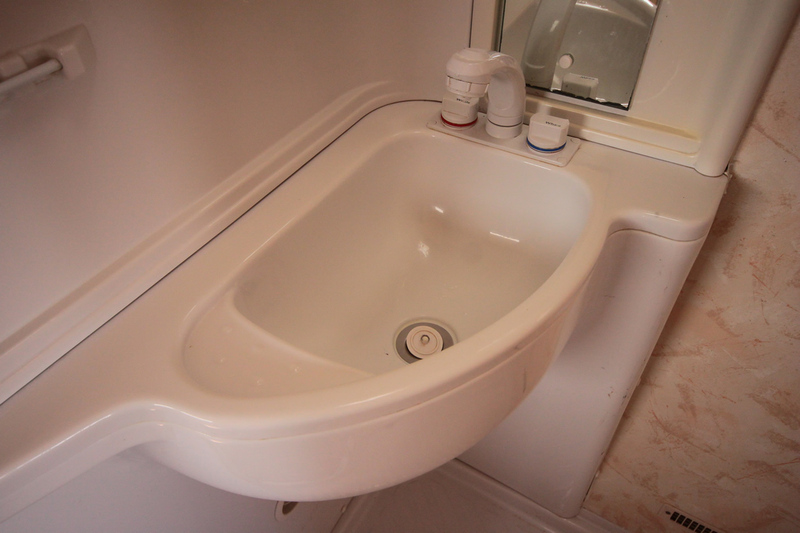 Hot water heated by gas or 240v. 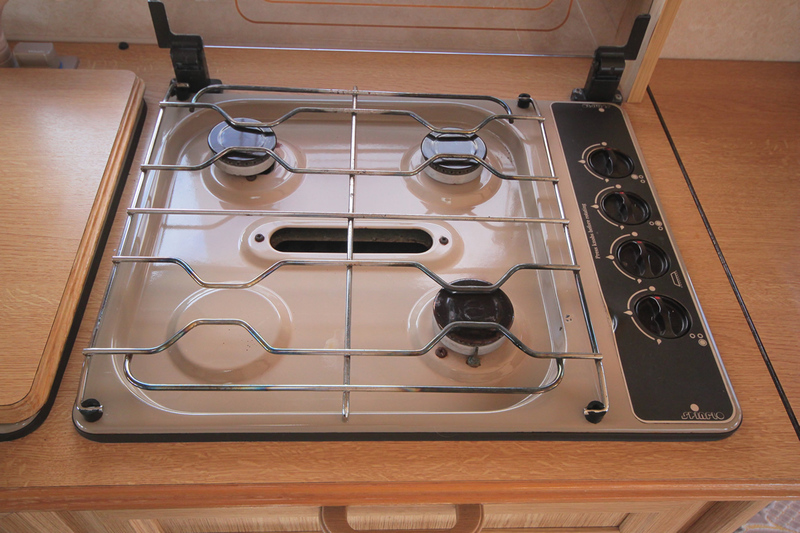 Gas space heater and blown hot air vents. 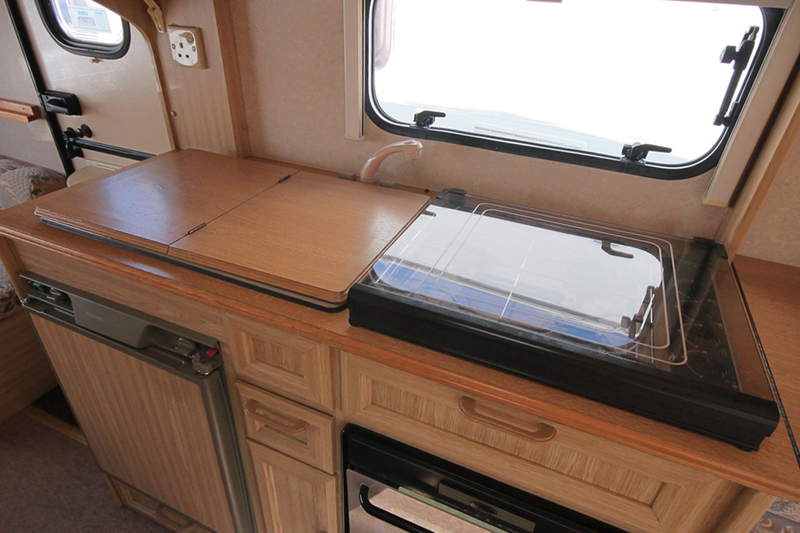 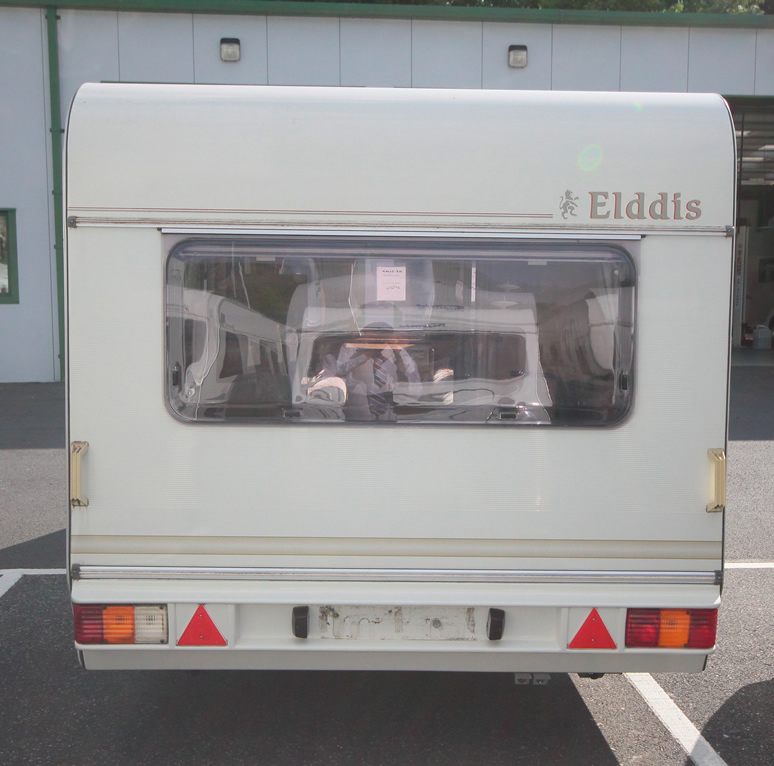 As with all our caravans double glazed and insulated means warm and dry with little condensation even with winter use.